One of the biggest traps that many parents fall into with their kids is the power struggle. You want them to do something and they flat out refuse. You end up staring at each other in silence or start yelling at the top of your lungs. You’re at an impasse with your child. Both of you are angry and frustrated. It can be oh so frustrating! What if I told you that it didn’t have to be that way, and that with a few simple adjustments, you could avoid the power struggles with your kids? 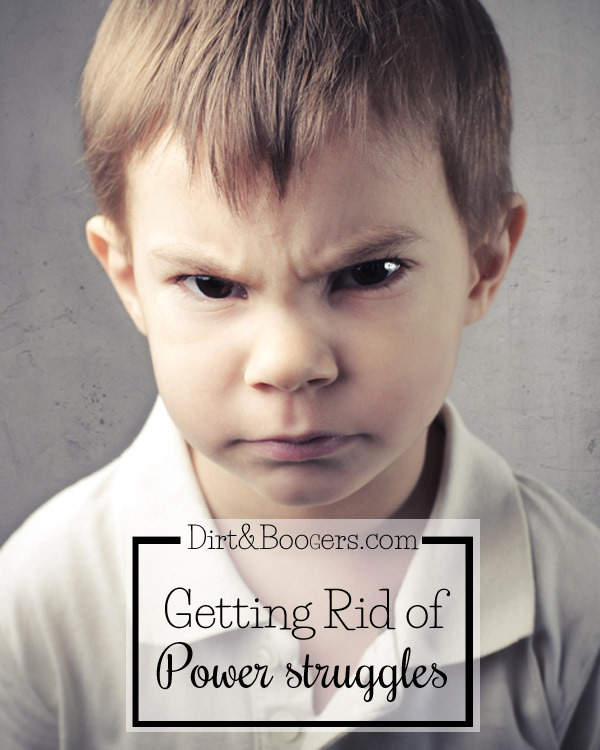 Over the next three weeks, I’m going to share with you some tips on how to avoid power struggles, and how to get your kids to cooperate more. It is possible. It might take an adjustment in thinking, and practice, but it is possible. The only person in this world that you can control, is yourself. You can not MAKE your child do anything. It must be their choice. Everyone in this world wants some power and control over their own lives. Have you ever said “I feel like my life is so out of control”? We feel stressed and anxious when we are out of control. Just like us, children don’t like feeling out of control. They like to have a say, they like to make decisions about their lives. They want some power. When they don’t get power, they will fight for it. This is when power struggles happen. When you give a child choices, you give them a sense of power. When you give a child a few choices that you are ok with, then they are more likely to comply with your request. They feel good about feeling in control and you feel good because your child is doing what you want them to. It’s a win win. Here are a few things to consider when using choices with kids. Make sure that you are ok with all the choices you give. If you ask your child to either put on his shoes at the park or go home. Be ok with going home. Then follow through! Use choices All Day Long! All day…give hundreds and hundreds of choices.Each time you give your child a choice, you are giving them power. The more power the feel, the less they will use force to get power. When you use an abundance of choices with your kids, you’ll find that they will be more likely to comply with your requests. When kids feel in control of their lives, because of all the choices you give them, they won’t need to fight back to gain control during those times when you can’t give a choice. Now, there may be times when a child refuses to make a choice. What do you do then? Give him a warning that you will make the choice for him. If he still refuses, you make the choice and follow through with that choice. What if a child keeps asking for something that’s not one of your choices? Be a broken record. Tell him his two choices over and over again and don’t give in. If a child really won’t make a choice, then make it for them…after you’ve given him a warning. Both of these situations are really good indicators that a child needs more control over their life. So, if you are constantly having to make choices for your kids, then make sure that you give more choices throughout the day…even on stuff that doesn’t really matter. Try giving lots and lots of choices this week, and just see what happens. I bet you’ll notice a decrease in power struggles, more compliance in your children, and a happier family too. Then, come back next week when I’ll give you my next tip to dealing with power struggles. Do you already use choices? Let me know how it’s working for you and your kids. Click image below to register for this FREE webinar! Fantastic article! Can’t wait to start putting this into practise. So glad you liked it Lotte! Come back next week for another tip! Good luck practicing. Can’t say I agree with this! I’ve seen too many parents whose kids have turned into absolute tyrants as a result of following this “choice” nonsense! The children have literally been “spoilt for choice”. I see it mainly in parents with children <10 y/old, almost as if it's a modern phenomenon. Everything becomes what the parents call "a negotiation" but to me it sounds like a whinge and a nag to get the children to do anything. The worst area to give children choices in is food… What discrimination can a child exercise in terms of healthy and nutritious food? On what basis will they decide their precious choice? Surely a moment's thought will convince you that children will choose purely on taste and whim, and not based on nutrition or anything important. I laugh when I see friends spend 15 minutes just dishing up for their children: "would you like this potato or that potato?" Really? Call me old-fashioned, but no child under 5 should be given a choice in terms of what they eat. And yes, I've raised two sons on this basis and they're both now well-adjusted young adults. If you really want a trouble-free parenting experience, feel free to just "be the parent". It's OK to decide for them what they eat and drink. 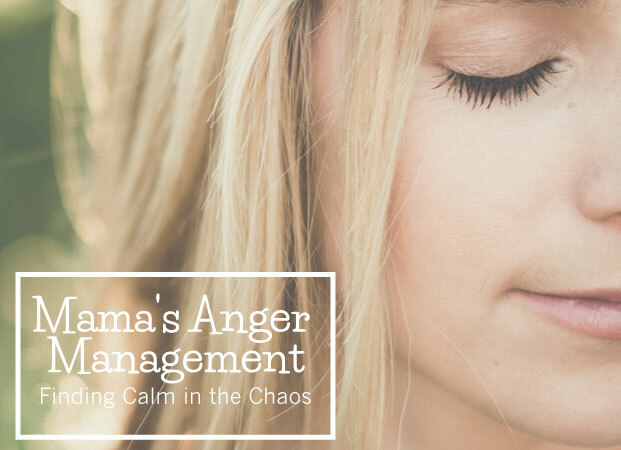 The intro to the article is about power struggles – this stems from the fundamental fallacy that there is power symmetry between parent and child – this is only true if you surrender your power as parent. And if you try argue with children … to paraphrase the old adage: "don't argue with a child – they'll drag you down to their level of logic and reason and then beat you with experience!" Or, an even better one: "don't argue with a child – others might not be able to tell the difference!" I might come across as a tyrant here, but trust me – old fashioned is best when it comes to this, and you can spare yourself the pitfalls that I see so many "modern, enlightened parents" fall into – when it could so easily be a much more harmonious experience for all concerned. Parents DO have power – and the responsibility to exercise that power with judgment, loving care and, yes, a sense of humour. I feel like your disagreement doesn’t really address the issue of how to avoid power struggles. Also, “be the parent” is so vague, what does that mean? If it just means to always impose authority, I feel like that’s guaranteed to generate power struggles more than alleviate them. Sure, as you point out, there is power asymmetry and the parent can always find a way to dominate the child and win, but then you end up in an endless argument. As for food, it’s not so difficult to give a choice between two different healthy foods, is it? Don’t you choose for yourself what to eat? I feel like if you raise your children to just submit to the dominant authority and get used to not having a choice, they will carry that behavior into adult life and be one of the passive sheep of the masses. O, I also wanted to add one more thing: making choices is not just a privilege but also a necessary skill. A person who does not learn how to make choices and live with their consequences may end up being a victim of “analysis paralysis” later in life when they have no option but to make choices for themselves. Tian, by and large, I’m in agreement with you. Too many choices leads to insecure children. Insecure children are the ones who tend to be tiny tyrants throwing tantrums. However, it is necessary to teach children how to make good choices. Start with a choice between two parent-approved things. Would you like the red one or the green one? Would you like to put away your books first or pick up your trains first? Would you like an apple or a banana (this is only at snack, at meals children eat what the family is eating)? Children need lots of structure or they tend to act out. Sam, lots of structure doesn’t mean that you’re requiring a child to just submit. Give them a very solid framework of what is or is not acceptable, then allow them to make small choices within those boundaries. I love your reply Leia. I have had many power struggles with my 5 year old, but I love that he is a child who can think for himself, has the courage of his convictions and is learning to make smart choices for himself. He knows the not negotiable like what we have for dinner but once a week I let him decide what is for dinner. This was a really good blog, to give children choice and learn through natural consequences is the only way I know for a child to learn to think for themselves, as the article says stick to choices you approve of and follow through. Tian, I’m sorry that you don’t agree, and that’s ok with me. There are lots of ways to parent and each family gets to decide how they want to raise their children. I do want to say a few things, so that you understand where I’m coming from and why I disagree with you. First of all, giving your child choices does not mean that there are no boundaries, or that the child has a free for all. Choices can be given, and should be given, within the boundaries that the parents have set. I’m not going to allow my child to have have chocolate cake for breakfast, but he can choose to have cereal of toast. It’s about helping them make appropriate choices. Also, there are times that we as parents need to make a choice for our kids, and times where kids do not get a choice at all. Just because I give choices does not mean that my child does not listen to me or see me as “the parent”. I want to raise my children to be able to make good decisions and not just follow what someone says. I want them to be able to think for themselves. In order to do that, it is up to me and my husband to teach them those skills. The simplest way of doing that is by giving them lots of choices and helping them to make good decisions. Avoiding the power struggles is just a really great perk from teaching them good decision making. I agree! I try to give my children basic options like “You’re wearing these shorts. Which shirt would you like?” But really… I end up fighting with them all day anyways! I think old-fashioned needs to come back! There are too many kids running their parents’ lives! I can understand what you’re saying Tian n I completely agree n think that kids/teenagers these days have no respect for authority cuz they get whatever they want at home. But I think you’re taking it to the total extreme of what this article is saying. I don’t think the article is saying to ask the child ‘what do you want to do?’ Or ‘what do you want to eat?’ It’s simply saying to give them a choice between two options that you’d be happy for them to do. It also says that there are times when you do have to put your foot down n tell them exactly what they need to do n make sure they do it. Allowing the child to make a choice helps them grow n feel like a ‘big person’. In certain circumstances throughout the day (in non-important decisions) I think it’s a great idea to allow your child to make choices. I like choices and I have been using this method from the beginning with my 3 year old. At it certainly has its advantages. We rarely have a power struggle. However, I have come to the conclusion that it is something that needs to be used in moderation or a child can get choice fatigued. If she is really tired and having a rough day, getting her to pick what snack to eat, which book she wants, which pajamas she wants, which toy to sleep with, etc etc, can be too much for her to think about. All people like making decisions but having too many isn’t that good. That’s why adults hire wedding planners, interior designers, and travel agents to narrow selections for them. Children need to learn to make choices but they also need to learn to accept other people’s suggestions, too- they’ll encounter both scenarios in real life. That’s a really good point Michelle. Children (and adults) can get fatigued with making too many choices and sometimes need others to make choices for them. I suggested giving more choices for kids who refuse to make choices because I was thinking of the child who’s refusing because they need more power. The are pulling a parent into a power struggle by refusing to make a choice. So, you give them more choices to make them feel more control. I think that if a parent gives lots of choices throughout the day, and the child isn’t refusing because of power, then the parent should make the decisions for them. I didn’t think of this when writing the post…thanks! I think choices have a time and a place as with everything and I do find them helpful. My problem with them has always been that I am generally caring for 2 to 5 young children at a time and sometimes more. I was raised with 9 siblings that were at least 10 years younger than me and babysat a lot!!! Then I became a young mom and now have 5 kids 6 young grandkids and a young great grandchild. So when you are caring for so many children if you offer to many choices you turn into a short order cook. The children get into a lot of mischief while you are a short order cook. 3 want to go to the park 2 want to stay home. 2 want to leave the park 1 wants to go shopping and 2 want to go to other grandma’s. Anyway thank you for the article I think it is very helpful especially for one on one time. I am open to suggestions. Yep! Things can get really hard when you have so many kids in the mix. There are a few ways to deal with this though. I’ve seen someone use a calendar where they put each child’s initial on a date, so each child gets their own day. So, when there are decisions to be made or if there is a disagreement, the child who’s day it is gets the deciding vote. As a child, my Mom did something similar. I had even days and my brother had odd days. I have mixed thoughts about it, but it’s the best idea I’ve seen so far. Good luck! Love this article! This is the relationship I hold with my goddaughter and she both listens to and respects me. In this, I would like to point out that every child is a small person and has their own unique personality. What works with one child may or may not work with another. Very good point! Each child is different, but I do find that choices…if used correctly, work with many many children. Not all though. Great post. We’ve been using choices for a while and it definitely works for us. It’s not a child free for all by any means, for us it’s about offering limited options within very clear, parent-defined boundaries. 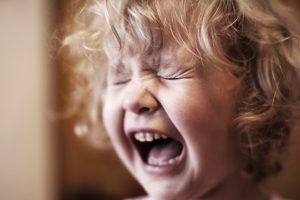 It works particularly well to diffuse tantrums without us yelling and getting stressed ourselves; when our 2.5 year old is on verge of meltdown, digging her heels in over something, giving her the illusion of a choice in a calm, cheery voice can stop her in her tracks. This has been great for restoring a peaceful bedtime, for example, and stopping me feeling that everything is a battle! It’s not foolproof but we’re finding it a useful tool to teach our strong willed daughter control without squashing her completely. I agree with giving children choices. For dinner my three children’s choice is eat it or nothing. Food is an area where a battleground shouldn’t exist as I’ve watched my niece and nephew become picky eaters as every meal involved negotiation to eat. I was constantly told my niece wouldn’t eat cheese but at my house she did because it was in a little bowl and she could help herself. She had a choice. With other areas, choice is a tool in the parenting toolbox. It shouldn’t be overused. There are times when you have to “be the parent” as Tian says. Being the parent means you make the decision whether it’s right or wrong, whether they wish to comply or not as they will constantly experience that in the world of work. I’ve never had power struggles with my children that make being a parent feel hard. They’ve never been in a position where they feel like they don’t have control over some areas of their lives. You have to start early, have a sense of humour and not have rigid exxpectations of what you and they should be like. You know…I agree with pretty much everything you said. Yes, we will have to make choices for our kids. My kids eat whatever I make for them, but I do include them in the meal prep and I might give them a choice on what veggie we eat…but not all the time. We hardly have dinnertime battles. But my son does get choices on snacks, his lunch, and breakfast. I love your point about rigid expectations too. Leia, I completely disagree with your view that insecure children tend to be “tiny tyrants”, this is known as labelling, and leads to self esteem issues and negative social development…. and insecurity. What your labelling them as exacerbates the problem. My 3yo son, for the most part is very loving, has impeccable manners and won’t watch me struggle carrying anything, he always tries to help. On the other hand he’s very strong willed and knows his own mind. I love that he knows his own mind and can make choices, but he also needs to realise the rules. This doesn’t mean he’s a “tiny tyrant”, it means he’s too independent and stubborn. I have actually never read “Love and Logic” heard good things though…maybe my next book to check out! Glad you’re having great success with it…this technique really does work! Our daughter, 6y has a hard time with choices. We do offer choices a lot with in set boundaries and logical or natural consequences. We’ve been using this technique for many years and haven’t had any problems with her older sister. But this sweet girl of mine gets so stuck in the mire of not wanting to choose. She is indecisive, she wants both things, or don’t know which task to start with. It’s like she’s been burned before – chose her muffin and then wished she had picked the other one…I see this again and again with her, often when faced with choices she gets frustrated to an explosive point. It’s hard to even relate this to being a power struggle at times. She is not defiantly refusing to do something. She is whining, crying, yelling because she don’t know what to choose. I hope your coming pots will speak some to that indecisive kid. This can often be a sign of some underlying anxiety…such as when kids with Autism are given choice (I am not suggesting your child has an ASD, just an example). I have found when working with kids like this it can help to first remove ALL choice and establish a routine that is initially inflexible. 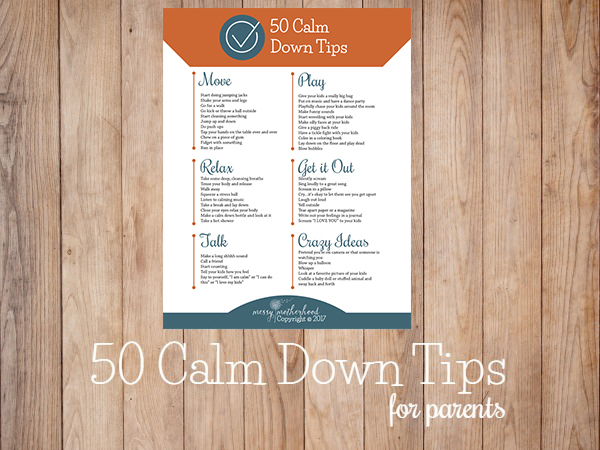 This provides them with consistency they can rely on and reduces anxiety. Then start adding in some very small choices to the day such as chopping up three types of fruit for morning tea and having her choose AT LEAST two. No ‘buyers remorse’ because no chance of missing out. Start with offering choices early in the day (1 piece of toast + cereal OR 2 pieces of toast for breakfast) and only one or two a day in situations where they are comfortable (at home rather than at the bakery). Gradually increase the opportunities for choice making as well as the number of options provided and don’t be afraid to intervene and make the choice for her if you can see that her anxiety is rising. Teach her coping mechanisms (if you have ‘a ‘today you can have ‘b’ tomorrow so you are not missing out) and try not to buy into the indecisiveness as it can be infectious as you try to calm them with compromise…which is in fact just adding another choice to the list. I use the “you choose or I’ll choose for you” tactic when my little guy refuses to choose and it works BEAUTIFULLY! I’m so glad you included that suggestion here, because sometimes kids do refuse to choose and that itself can easily turn into a power sturggle. Great post!!! What you do with a child who can’t handle choices ? He takes forever to decide anything and if we do the “choose or I will choose for you” thing, he gets very upset and then refuses the thing we chose. My almost 4 year old daughter is odd about choices. She will often get upset and even cry when given two choices because she wants both. If she chooses boots over shoes, she will then flip flop back and forth and almost make me out to be the bad guy for giving her the one she wanted because ‘I dont want those, I want the shoes!’ and so forth. It drives me nuts. I;m sure it is probably something I am doing, but it makes me not want to give her many choices. Suggestions? This post was helpful! would you like to continue ranting at me and lose the right to go to the ball game or would you like to be obey and go to the ball game? It works very well and my children have learned choices have consquences. They will now verbalize their choices and the consquences about things that are not related to parenting, but rather personal life decisions. It is very cool to see them understanding the reality. However we do still have power struggles, sometimes. We are parents of a a year-and-a-half old girl, and it’s already a constant struggle… “Yuuki, eat your breakfast, and you’ll get a cookie after. Do you want a cookie?” Of course she does! But breakfast is still only half eaten and she is already demanding a cookie. She doesn’t get one, though, but that doesn’t stop her from not eating her breakfast or lunch, or dinner non the less… She’s too stubborn, just like me, so I guess we’ll just need to learn to be patient. At 18 months old your daughter is not able to ‘defer gratification’ yet. In other words, her brain is not able to understand that if she can ‘wait’ (or in this case eat the meal) then she will get something better. It will be another year or so, probably, before she can begin to do that. Meanwhile, I would suggest that instead of bribing with an unhealthy food (which simply reinforces the idea that what she has now is not desirable) you simply allow her to eat as much as she likes but offer nothing else if she doesn’t eat it. You can offer a choice before you begin, but try to be positive about the meal itself. Best of luck. It is important to remember that every child is different…especially when special needs are involved. My son has Asperger’s and Oppositional Defiance Disorder. For the ODD the idea of providing parent approved choice is ideal; but for the Asperger’s it increases his anxiety and his brain fritzes and he has a meltdown. He requires different tactics at different times which makes parenting with consistency a nightmare. On the flip-side I have an extremely mature younger daughter who I have to remind myself is only six and that some choices NEED to be made by caring adults on her behalf because it is not fair to allow her to make certain decisions when she lacks the life experience to make appropriate choices. What about when you give your son choices and he comes up with his own choice and only wants to do that? That is a common problem at our house. I haven’t read through all the comments, so this might have been said already. Hi! I do love your advice and I definitely see how giving them acceptable choices will help relieve a power struggle. However, my concern is I don’t want my child to start thinking he will always have a choice about something. Like on school, there isn’t always a choice on an activity. Or in life you may have to do something you don’t want to do. How do I balance it? 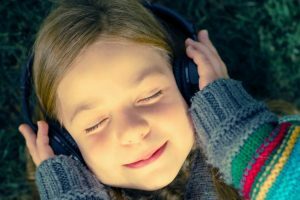 I really enjoyed this post, and I also liked reading the comments and hearing different parents’ feedback. I’m a new mom, but I have worked with preschool and school-age children with ASD and I have seen firsthand the power of giving a child a choice. The strategy we used at work can totally apply at home, and to kids without ASD. – follow through: choosing for them when they refuse to choose is the easy part. The hard part is making sure that they still complete the task at hand when their ability to choose has been taken. If you follow through and remain consistent, they will learn to make a choice the next time one is offered. 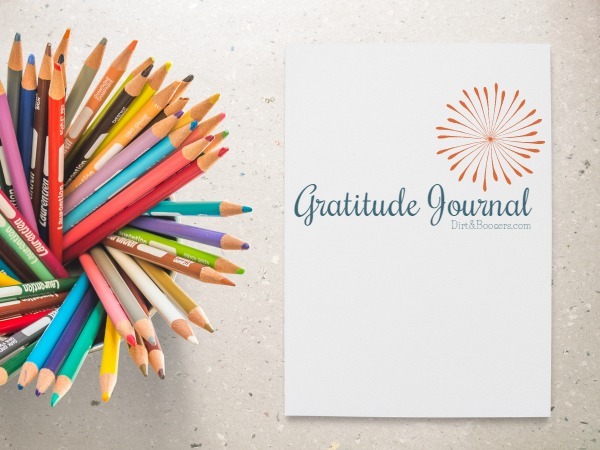 – pick your battles: it may contradict following through at times, but if the point is to avoid a power struggle, then letting kids make a choice outside of your A and B options, if reasonable, is fine. Kids are people with their own minds, too. If they have a point, it should be respected and acknowledged. – kids also need to learn and understand that sometimes a choice can not or will not be given. Having a choice is almost like a treat: it should be appreciated when given, and when a choice isn’t available, well at least mom and dad got to let me pick those other times so it’s okay if I can’t pick this time. you are great Amanda .. I think this is a really great article & it’s something we’ve practiced with both of our children. We have always used choices especially with our son & it worked really well when he was younger. However it seems like this practice is more geared towards children ages 10 & under. Our son is now almost 17 & this practice seems no longer applicable. What advice, ideas or suggestions would you give to expand on this article to help with the tweens, teenagers & almost adults? I made a timetable at home. but my child seldom follows it. ALSO NOT INTERSTED IN TAKING BATH everyday and also not interested in learning daily lessons. How can I implement 4 basic choices mentioned above in studying and taking bath ? like you mentioned apple milk or juice for dinner, how to pair choices ? in case of taking a shower and learning their daily lessons. ALSO advice me what consequence should i give for not following schedule at home . ?